Oxford Cancer Biomarkers (OCB) has licensed three in vitro diagnostic tests for colorectal cancer to My-BioMed Biotechnology (MBM), through a partnership that will expand use of the tests into China. The value of the collaboration was not disclosed. MBM has gained rights to OCB’s ColoTox, ColoProg, and ColoPredict tests, and will build a biomedical laboratory in Ningbo Meishan Free Trade Zone. ColoTox is a test designed to identify colorectal cancer patients at high risk of severe drug side effects, helping clinicians select safer chemotherapy drug doses, and reduce the likelihood of life-threatening toxicity. According to OBM, ColoTox also identifies a small subset of patients (1% of all patients) that should avoid 5FU-based chemotherapy altogether due to high risk of toxic death. ColoPredict is designed to identify a subpopulation of healthy individuals at increased risk of developing colorectal cancer. It uses DNA collected from a simple mouth swab. ColoProg is a test carried out after colorectal cancer surgery to identify patients that are at low, standard, or high risk of relapse. The test is intended to help surgeons and oncologists better target adjuvant chemotherapy to patients at highest risk of relapse and avoid chemotherapy in patients who have a high likelihood of cure by surgery alone. The three tests are among four biomarker diagnostics developed for colorectal cancer by OCB, a spin-out of the University of Oxford linked to the school’s Medical Sciences Division. The tests are designed to deliver personalized medicine, and are part of a portfolio that the company said will be expanded over time with similar tests for other cancer indications. According to the company, 274,000 new cases of colorectal cancer were diagnosed in the Peoples Republic of China each year as of 2015, of which 190,400 cases proved fatal. Dr. Kerr, a professor of cancer medicine at Oxford University, co-founded OCB with Nick La Thangue, Ph.D., the university’s chair of cancer biology. The university is an investor in OCB, along with Longwall Venture Partners, and Esperante. 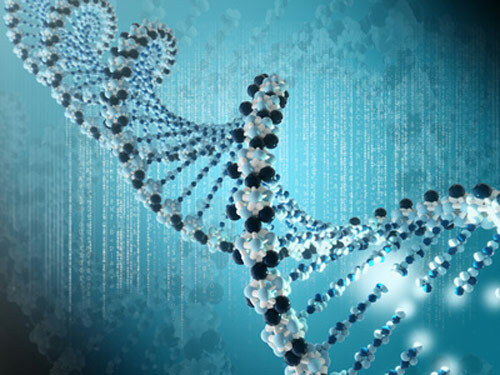 MBM, a China-focused precision medicine company established in May 2016, is working to create a commercialization platform that integrates its expertise in business development, market access, clinical development, registration, clinical lab services, sales, and marketing. MBM operates a wholly-owned subsidiary, My-BioMed Clinical Laboratory, that has been granted pre-approval from China’s Health and Family Plan Commission, and will be certified within this year. “Through this partnership, MBM and OCB have solidified a long-term commitment to China, with the aim of developing and launching a suite of unique diagnostic products,” added My-Biomed CEO Jackson Zhu.